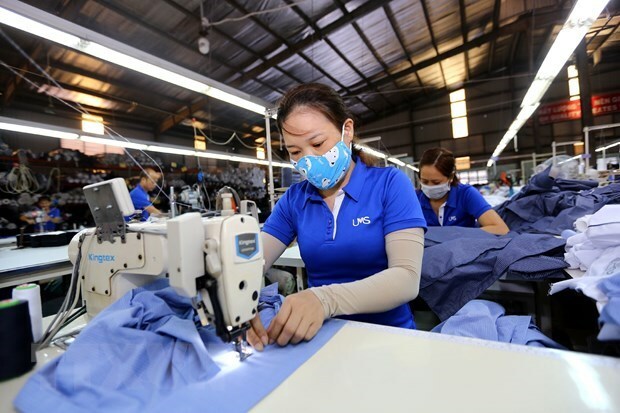 HCM City (VNA) – Recommendations were given to Vietnamese textile-garment businesses at a workshop in Ho Chi Minh City on April 10 to help them develop strategies for sustainable development. Secretary General of the Vietnam Textile and Apparel Association (VITAS) Truong Van Cam said the country is now one of the biggest textile-garment exporters in the world. The sector gained nearly 37 billion USD from exports in 2018, up 16 percent year-on-year, with the figure expected to hit some 40 billion USD in 2019. Additionally, the Comprehensive and Progressive Agreement for Trans-Pacific Partnership (CPTPP) is forecast to create a driving force for Vietnam’s textile-garment industry in 2019 and the following years, he said. Despite its relatively fast growth, the industry still has certain weaknesses, especially in compliance with rules of origin, Cam said, noting that this is considered one of the sector’s major challenges as it strives to capitalise on new-generation free trade agreements (FTAs), including the CPTPP. He said that aside from the CPTPP’s difficulties, there are also opportunities that will arise as strict regulations will prompt Vietnamese firms to make changes to develop more sustainably and win the trust of global consumers. It will also put pressure on companies to cooperate with one another to form supply chains and actively attract investment to improve their production and business performance. The textile-garment industry is viewed as a sector with high pollution risks. Therefore, amid international economic integration, businesses need to adhere to environmental protection regulations, he said, recommending that they pay attention to circular economy in which they should save water and energy during the manufacturing process. Meanwhile, Vo Tan Thanh, Director of the HCM City Branch of the Vietnam Chamber of Commerce and Industry (VCCI), said the industry is highly valued, especially as one of the biggest foreign currency earners of Vietnam. As such, reforming technology, improving product quality, and reducing production costs are necessary to promote its product competition on domestic and foreign markets. Thanh also asked businesses to actively seek cooperation chances in terms of equipment and material supply so as to meet rules of origin in FTAs and enhance their competiveness on the global market. In particular, they should switch from a made-to-order model to the production of goods created by themselves to help the sector gain strides in sustainability.